Light Concrete adds a trendy concrete look with a whitewashed effect – ideal for modern contemporary and young natural interiors where a soft and cosy stone touch is desired. 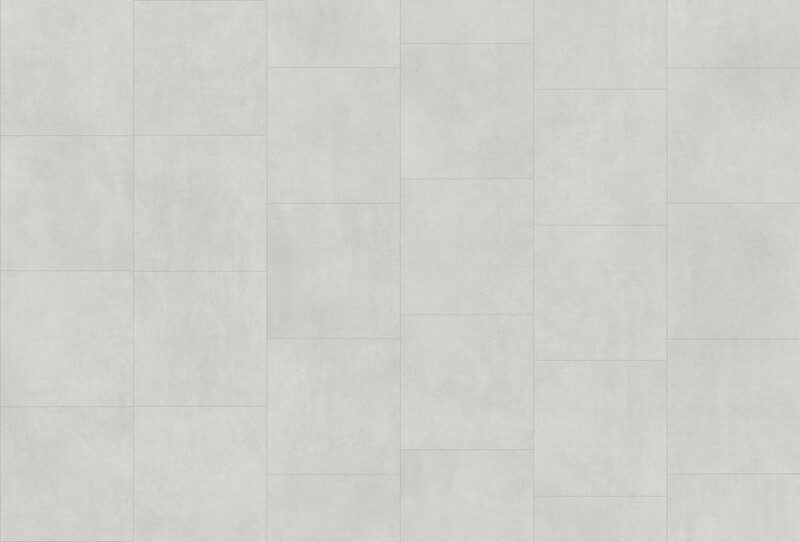 The tile design is perfect for rooms where you want the look of ceramic tiles, but the warmth and softness of vinyl. With two tiles per plank, installation is both quick and efficient. Our Premium quality level with our new, PerfectFold™ V click system makes installation even easier than before and is the ideal choice for domestic use.